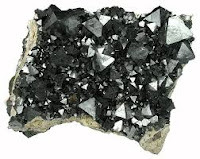 There is a large quantity of natural resource in Balochistan, including Chromite, Flourate, Barite, Asbestos, Marble, Garnet, Vermiculite, gold, copper, Iron, Gas, Petroleum, and etc. Which are of great importance in today’s world.750 kilometre long coast and area of Balochistan has been declared the gateway of economic welfare. Balochistan has a great agriculture potential, but the low rains and shortage of water is big hurdle in the way of taking full benefit from this agriculture potential. At present the total arable Lang in province is 1.8 million acres. Besides agriculture potential it also has potential of livestock production because it has the 93 percent rangeland of country. Copper, gold, silver, and iron are a few of the more well-known and important minerals present in Balochistan. All four are found in large quantities in Chagai District. 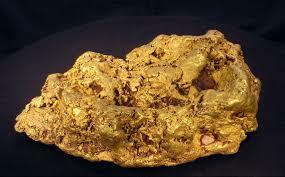 In fact one very large deposit of copper and gold found in the small town of Reko Diq in Chagai District has recently been the source of a great deal of controversy and a court case. 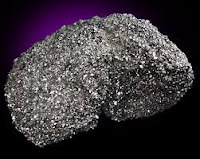 Chromites is found in abundance in Balochistan and it is the only source of projection of chromium metal used as alloying elements in variety of alloys and stainless steels which are also suitable for surgical and also orthopedic implants and other components. In addition chromium is used in refectories, leather refining , chemical and other industries. The significance of copper resources of Balochistan is widely known because of huge investment made in development of Saindak copper deposit. 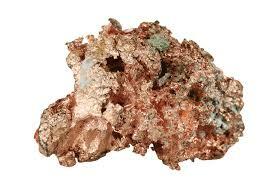 About 500 million copper has been found from Chaghi district in Western Balochistan. Besides Saindak, huge reservoir of copper has been discovered in Rekodiq area, located near the Saindak. This is including amongst the 10 biggest copper reservoir of the world. 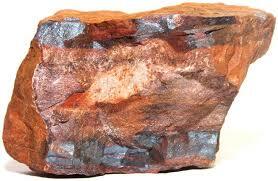 More than 600 million tons of Iron Ores are found in Balochistan. The large portion of Iron Ores has been found nokundi, Chilghazi and Dalbandin areas of Balochistan. Some of the good quality Ore found in Chaghi and Dalbandin areas of Balochistan. The Geographical Survey has discovered iron Ore deposit with initial estimated reserves of 200 million tones at Dilband, 90 kilometres Duddar id located about 135 kilometres north of Karachi. Large Gypsum deposits occur in Sibi, Kohlu, Barkhan, and Loralai districts of Balochistan. 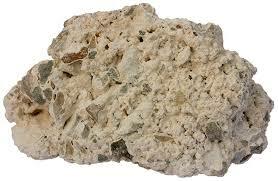 Total tentative reserves of Gypsum in Balochistan are 355 (Million of Tons). 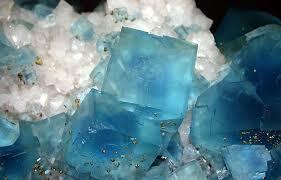 Substantial reserves of fluorite are found at Maran, Phad- i – Maraan and Dilband areas of Mastung district. The total estimated reserves about 125,000 tons. Magnetite occurs at Wad in Khuzdar district and Muslimbagh area of Qila Saifullah district. Total estimated reserves are not exactly known. 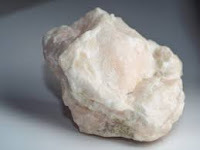 Huge reserves of Barite are found in Lasbella and Khuzdar districts of Balochistan. Total estimated reserves are over 1.25 million tonnes. Large deposits of Vermiculate found from Doki river area, south of Dalbandin based in reconnaissance of the area. Asbestos occurs in two main spinning and non spinning fiber types. Occurrences of Asbestos are known in the Zabar Creek area 8 to 10 Km North of Muslimbagh. Two types of dimension Stones are widely used in the industry, Marble and granite. Large commercially exploitable deposits are found throughout district Chaghi, starting from Dalbandin and extending to the borders of Iran. Some deposits are located close to Pak-Afghan border areas namely Zardkan, Siah-Chang, Jhulli, Patkok, Maskichah, Zeh, Chilgazi and Buttak. 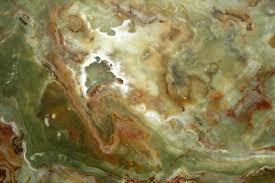 Onyx, a dark green marble, found in Chaghi is of superior quality. 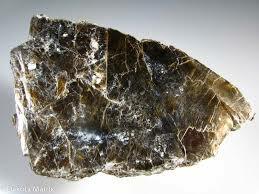 Onyx of good quality is found in Bolan, Lasbela and Khuzdar districts. 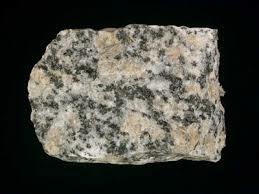 Granite of Balochistan mainly mined in Chaghi. 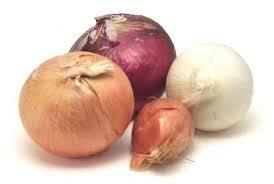 It is varied colour of good export qualities and is attractive in the markets abroad. 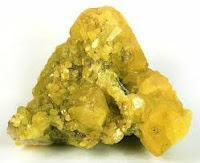 There are many other minerals are also found in abundance in Balochistan. This is a relatively newly discovered mineral. Its deposits are found in Lasbela district. Limestone exists in abundance in different parts of Balochistan. Several hundred meters thick layers of limestone, at places dolomitic, occur in Chiltan Formation of Jurassic age in Quetta and Kalat. 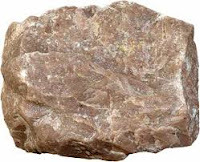 Limestone of Cretaceous age, 300 to 50 meters thick, is widely found in Balochistan. Harnai, Sor Range, and Spintangi areas have reserves of limestone. Sulphur deposits are available at Koh-i-Sultan in Chaghi district. Three main depoit are clustered around the southern half o the extinct volcano, Koh-i-Sultan. The deposits are of fumaralic origin and native sulphur is found in vugs, cracks, and as impregnation in volcanic tuffs. The chief use of sulphur is I the manufacturing of sulphuric acid and explosives. 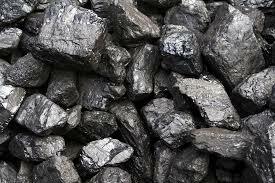 Balochistan has 6 developed coalfields all of which are located in northern part of the province. 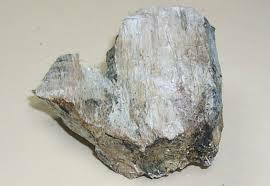 There is the Mach-Abegum coalfield found in Bolan district approximately 70 km southeast of Quetta. Sor Range- Sinjidi-Deghari coalfield is situated 28 km east of Quetta and is considered the deepest coalmine in Pakistan. 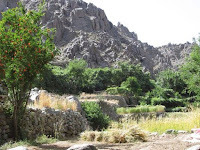 Pir Ismail Ziarat-Margar-Narwar coalfield is situated 60 km east of Quetta, and the Duki-Anambar coalfield is located in Loralai District. The Khost-Sharig-Harnai coalfield is located in Sibi District about 160 km from Quetta, and the Chamalang coalfield is found in Loralai District. Balochistan is rich with Natural resources. The Gas of Balochistan is playing the role of backbone in the economy. 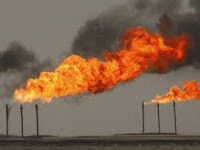 Natural Gas was accidentally discovered in 1952 near the town of Sui, Balochistan. Natural gas has become almost synonymous with the name Sui. In 1995, Balochistan was contributing nearly 56% to Pakistan’s total output of natural gas, but by 2007 its shares had dropped to 22.7%, and that same year it consumed only 5.81% of the country’s total output. The promotion of agriculture with the help of tube wells and low rains have hardly affected underground water and range-lands. 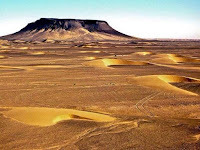 The total area of barren land in Balochistan consists of 4.7 million acres, which is half of the barren land of country. If this huge area is brought under cultivation, it not only makes the country self sufficient in food but it would also enable the country to export agriculture produce to neighbor countries. Balochistan receives low rain as compared to other parts of country but despite it a large portion of flood water is wasting, cause of absence of inadequate Dams. If steps be taken for storage of flood water than 12 million acres feet additional water would be available for irrigation in Balochistan. Dates, Apples, Grapes, Onions, are important agriculture production of Balochistan. Dates are important agriculture production of the area. The Makran and Kharan districts of Balochistan are the major dates producing areas. 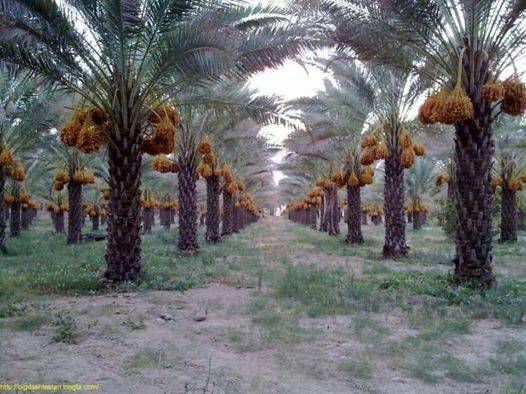 110 verities of dates are producing in Kech district in Makran. Rabbi, Begum Jangi, Klongi, Karoba, Mozwati, mansaure, Chalni, Sabza and Shakar are ranked among export quality dates. 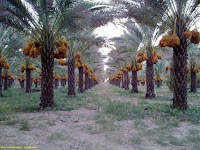 Makran is producing over 4 lakh tones of dates annually. Absence of proper communication and storage and processing facilities 50 percent of production if wasting, this is causing a loss of million dollars. Balochistan is the only area which enjoys four weather conditions. Some areas are extremely hot. Makran, Sibi, dahdar, and some other areas are including in extremely hot areas, but Kalat, Mastung, Quetta, Ziarat and Pishin are cold areas and produce high quality apples, Grapes, Cherries , and Apricots are produced in these areas. But there isn't paying any attention to export these fruits also losing million dollars annually. In the Balochistan producing around 4 lak tones of apples, which are famous for its quality and fragrance in the world. But again absence of cooling and export facilities a large quantity of apple production is wasting. In the Balochistan also produces 5 lak tones of Onion, but there isn't facilities of marketing and exporting for this product. Fish is also important production of Balochistan. 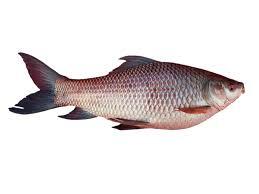 The fish catch from Baluchistan is sending from Karachi to international markets, the real benefit of this production going for traders of Karachi instead of poor fishers men of Balochistan. The best medicine for women. Shaigle@. Simple theme. Powered by Blogger.